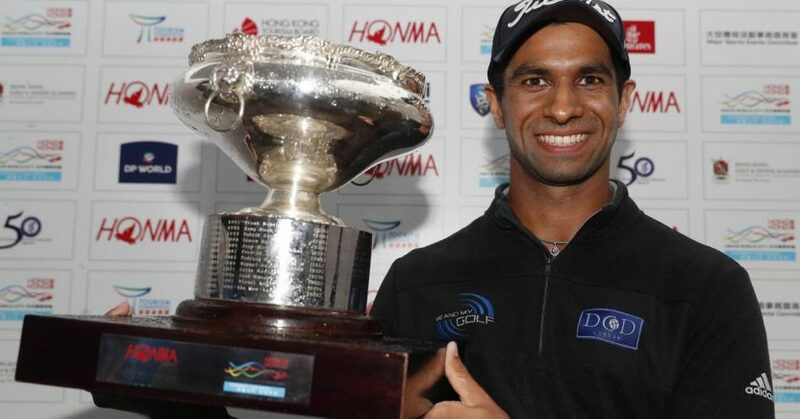 Aaron Rai claimed his maiden European Tour title after holding off fellow Englishman Matthew Fitzpatrick to secure a one-shot victory at the Honma Hong Kong Open. After taking a six-shot lead into Sunday’s final round, the 23-year-old from Wolverhampton was made to battle hard to keep his head in front, with the gap narrowed to just one shot at the end of thrilling battle with Fitzpatrick in the pouring rain at Hong Kong Golf Club. Five-time European Tour winner Fitzpatrick fired seven birdies in his first 16 holes to pile the pressure on Rai, but his challenge faltered when he carded his first bogey of the day at the 17th to give his compatriot a two-shot cushion with one hole remaining. Fitzpatrick’s superb 64 saw him finish alone in second on 16 under, with Challenge Tour graduate Victor Perez and Australian Jason Scrivener five shots further back in a tie for third place.